Give your players multiple ways to score using a ball screen in transition! Up-and-coming head coach Jerrod Calhoun has proven to be successful at taking a program to the next level. Through his up-tempo transition style of play, he guided Fairmont State to four consecutive Division II NCAA Tournament appearances including the National Championship runner-up finish in 2017. Calhoun's team utilizes the terminology and language that today's NBA coaches use. In this video, you'll get an inside look at how to teach transition offense through various high-level drills and philosophies. All transition offenses begin with a defensive rebound. As Calhoun demonstrates, everything starts with getting the ball up the floor and into the middle third of the floor. Once the ball is in the front court, Calhoun teaches terminology to keep his players on the same page. The "Philly" call means a side pick & roll, "Tony" is a screen re-screen action, and "Bingo" means to reject the ball screen. Using these calls, players are able to create a dynamic and fast-paced transition offense using a ball screen. Starting with 3-on-0 and building into 5-on-0, Calhoun demonstrates how to create multiple scoring options and go right into his half court offense. As players come off or reject the ball screen, they turn the corner and look to attack the paint. Athletes can look to score in numerous ways as they move around, including a corner three, dump pass to the post, trail post shot, or pass to the big on the pick & roll. In the Read Drill, your players will learn to attack the defense and take what is given to them by reading coaches/managers as they come off the screen. Coaches in the drill will jump to the paint to help on the drive, stick with the shooter, or stay with the post. Players must be able to read the defense and take advantage of the scoring opportunity. To teach players how to pass or spray ahead, Coach Calhoun uses Wave Passing and Spray Ahead Passing to train his team to hit an open player right in the hands. He teaches how to focus on the pass and get players to play fast with their hands ready to shoot. 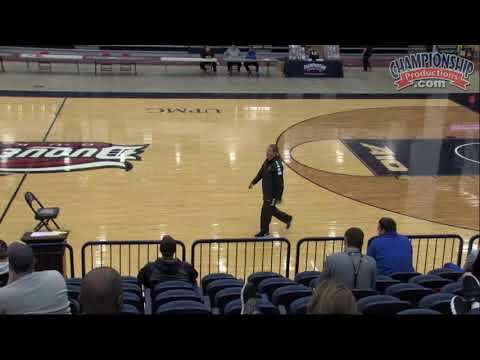 This is a video that all coaches looking to get out and score in transition must have. It will help improve your players' ability to move the ball up the floor and score. Coach Calhoun does a great job demonstrating how to play fast and build your team's skills along the way.